But that’s tough when your grandmother is a Yaga, a guardian who guides the dead into the afterlife. It’s even harder when you live in a house that wanders all over the world…carrying you with it. Even worse, Marinka is being trained to be a Yaga. That means no school, no parties — and no playmates that stick around for more than a day. So when Marinka stumbles across the chance to make a real friend, she breaks all the rules…with devastating consequences. Her beloved grandmother mysteriously disappears, and it’s up to Marinka to find her — even if it means making a dangerous journey to the afterlife. I’d like to thank Scholastic Press for providing an advance copy via Edelweiss+ in exchange for an honest review. The House with Chicken Legs is a bittersweet exploration of family, grief, and the destiny that we make for ourselves. Marinka is a young girl training to be a Yaga. Her grandmother, the famed Baba Yaga, is a misunderstood old woman who lives in a magical house that runs around on chicken legs. Most people think of her as an evil old witch, but in reality Baba Yaga is a kind, gentle woman who devotes her life to guiding the dead from this world back to the stars whence they came. This calling comes at a heavy price, though; the life of a Yaga is a lonely one, and Marinka wants nothing more than to break free from her fate and become a normal person with living, breathing friends rather than spend the rest of her life among the dead. The path Marinka takes to try to achieve this dream of a normal life among the living ends up hurting quite a few people along the way, especially her beloved Baba. It irks me when people approach middle grade books as if they were reviewing books written for adults, but I must admit that I found myself getting angry and frustrated with Marinka at times and forgetting that she was a 12-year-old girl going through some impossibly difficult challenges during a time of extreme grief. Even an adult would have had a hard time making the right choices (if such a thing even existed) in her situation. I believe part of my frustration lies in the fact that I think I would have behaved just as selfishly as Marinka did, and that realization made me ashamed of myself, so I directed my anger toward Marinka instead. This maelstrom of emotions is one of the things that makes this book great. In perhaps the most relatable aspect of the story, Marinka is conflicted between her love for and sense of duty to her family and her desire to be true to herself and find her own way in life. Her inability to reconcile the two often leads to heartbreaking destruction and disillusionment, as Marinka discovers that the world of the living is not quite as wonderful as she had dreamed and that the world of the dead is not as easy to escape as she had hoped. Sophie Anderson’s treatment of the afterlife is truly lovely. Before the Yaga guides the dead to the stars, she talks to them about their lives to learn what they will take with them from their time on Earth…a love of nurturing, for example, or the warmth of family. The dead then journey to the stars so that their souls can rejoin the starlight they were once part of before their short time on Earth. It’s a beautiful and peaceful concept, and Anderson handles it ever so gracefully. We always understand why Marinka resists becoming a Yaga, but the work of a Yaga is never presented in a negative light. Nor is Baba Yaga herself presented negatively; in fact, this book works hard to dispel the image of her as an evil crone to be feared and ridiculed. I’ve written before about my love for the character of Baba Yaga. I will admit that part of that love is precisely because of her evil reputation, but another part springs from the complexity of Baba Yaga’s persona. I’ve always been drawn to the tricksters, the shapeshifters, the people you can’t quite pin down; the more complicated a backstory is, the more there is for me to love. Baba Yaga is many things to many people. Sometimes she is an evil witch; sometimes she is a kindly old grandmother; sometimes she is a nuanced combination of the two. Sometimes she flies around in a mortar and pestle; sometimes she travels by way of a house with chicken legs. To Marinka, she is a beloved grandmother. To me, she is a source of endless fascination. To Sophie Anderson, she is a generous, open-hearted woman who dances with the dead to celebrate their joys and sorrows and guides them back to the stars so that they can shine in the sky once more. With this book, Anderson has added a thoughtful, heartwarming entry to Baba Yaga lore and proved that the best fairy tales will always remain among the living. Have some tissues ready. I give this book 4.5 out of 5 coffins. 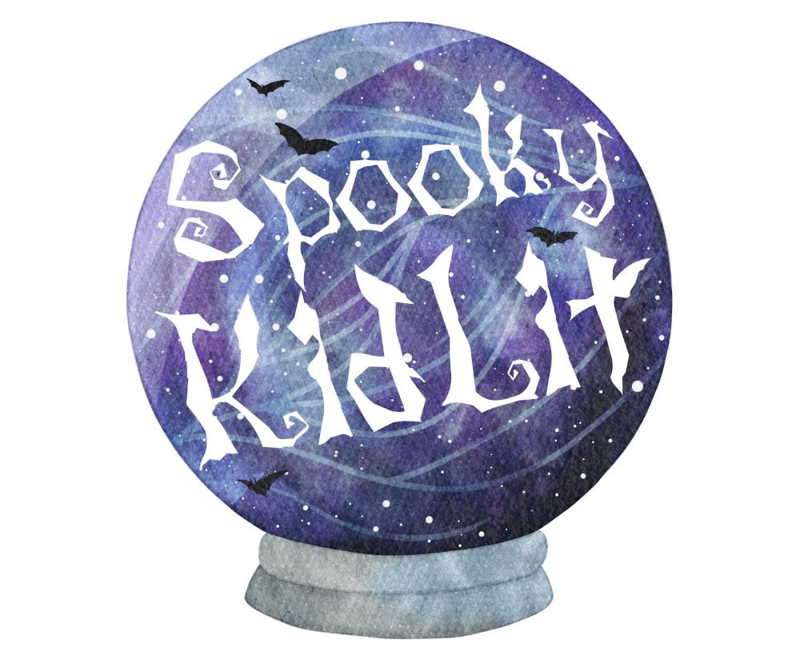 Previous TBR Friday: This Is Blogoween!